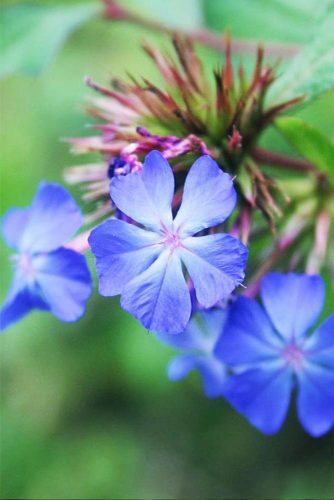 Why do we love blue flowers and what they can give us? Blue is the color of the sky, the color of tranquility, of something heavenly beautiful. Light blue is the color often associated with calmness and peace. And while a saying “feeling blue” can be related to sadness, melancholy or mourning, – the famous and loved by many people blues style in music got its inspiration from all those feeling, and blues music no doubt has its own charm and beauty. 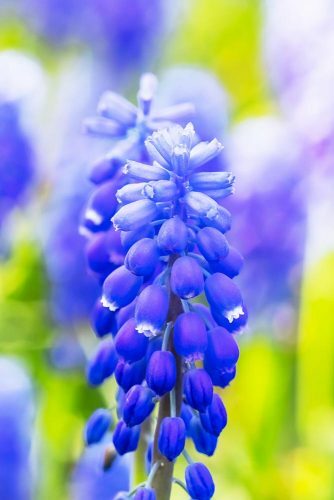 The blue color is not only the color of the sky, it’s also the color that can be found in a lot of flowers that can adorn your garden, used for home decoration or in various bouquets. Here are the most gorgeous blue flowers in the world. This flower with large flowerheads looks absolutely stunning! These flowers are blooming from early spring to late autumn. The flowers are best cultivated in porous and moist soil. They prefer full sun, but they will bloom in partial shade as well. 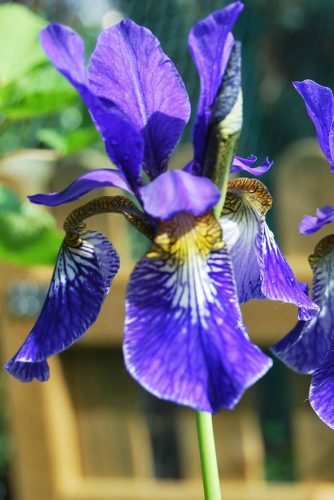 It’s better to plant these flowers in spring or autumn. Water them regularly; if the soil in your garden is sandy, you might use some fertilizers. With some proper care, you’ll enjoy admiring these beautiful flowers every day. 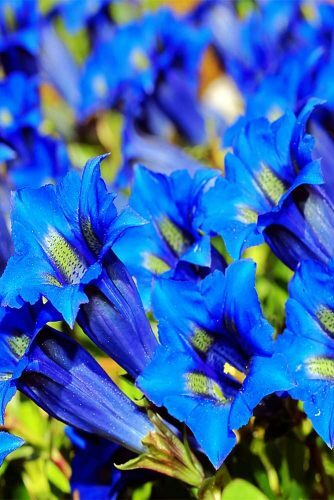 These blue flowers will also look great in every home bringing some light and calmness into the interior. 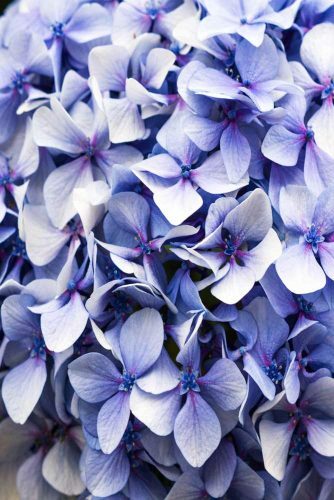 And if you are going for a birthday party and your friend’s or relative’s favorite color is blue, why not make them happy with the beautiful bouquet made from blue hydrangea? This magnificent flower can bloom from June to first frosts giving you a chance to watch this beauty again and again. 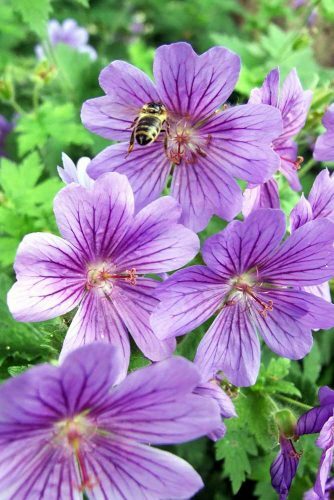 It needs to be planted on the full sun areas in moist and well-drained soil. 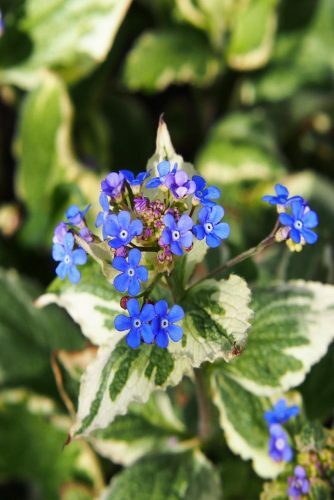 Apart from that, these plants are very tough and adaptable meaning you will not have to spend too much time on caring about them, and so with minimum care you can have a beautifully decorated garden. This flower comes in all shades of blue, from the lightest to the darkest ones. 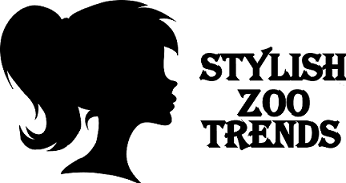 It’s very nicely shaped and can create fun and carefree atmosphere. But you should know that these flowers like mild weather. It’s better to plant them in humus-rich organic soil. These flowers also look perfect in bouquets, either in combination with other flowers or on their own. The flower starts blooming with heart-shaped leaves in spring. 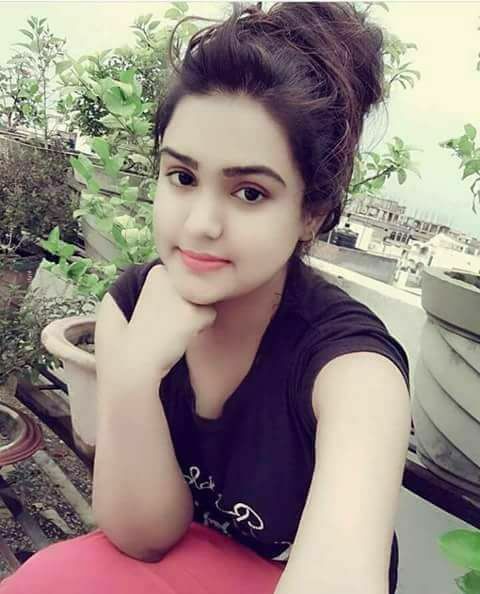 Even though it might look rather simple at first sight, the flower has its own beauty creating very peaceful and even jolly mood, so don’t get tricked by first impressions. Besides, these flowers can be easily paired with some other plants and aren’t difficult at all to take care of. 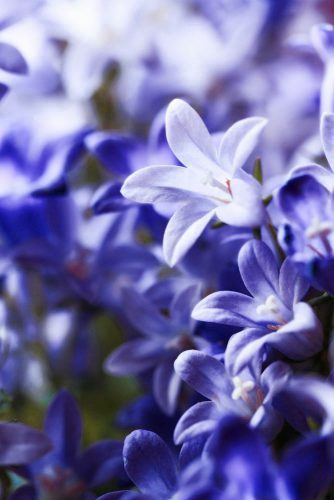 This plant blooms in spring producing clusters of blue flowers that can remind that of the grape. 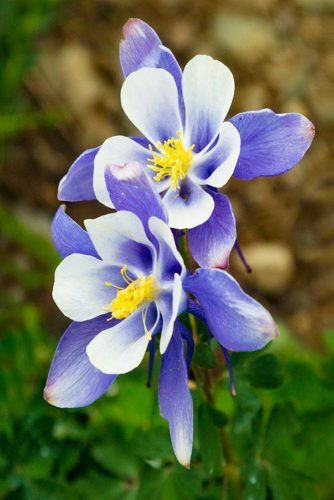 This flower is associated with rebirth and symbolizes trust. It can become great accomplishment to your garden and will make you smile every time you look at this beauty. You can decorate your home with these flowers to feel more joyful or make them into a perfect bouquet. Clematis is perfect for creating some ornaments in your garden. It’s a perfect symbol of courage and faithfulness. 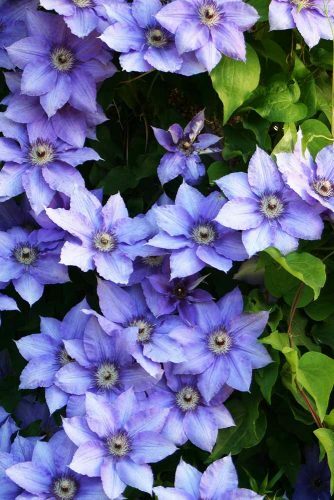 With some good treatment, clematis can bloom throughout the growing season. It prefers the sun but it’s better to keep the roots in slight shadow, so it can be planted at the base of another plant. This amazing flower starts blooming in late spring. 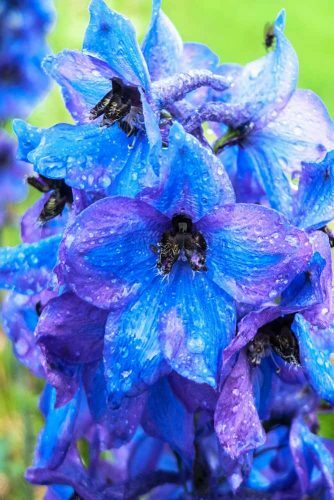 Its beautiful clusters of blue flowers give the sense of peace and calmness that you can enjoy by having the flowers in your garden. This flower is self-seeding so you can have lots of them without any extra efforts. And if you want to avoid their spreading, don’t forget to remove them before they mature. This is the kind of the flower that spreads easily on the ground. It continues blooming even in late autumn adorning the garden with heavenly beauty. Besides, this flower can still bloom in shade, probably, not as fast as in the sun, but you’ll still be able to appreciate its beauty. As the name itself suggests, these flowers have the shape of the bell and look astounding. They come in all varieties and in different shades of blue. 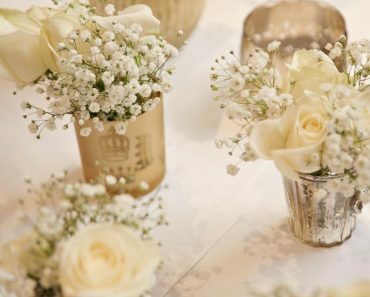 The flowers look as if they ‘came’ from some fairy-tale and create the mood of mystery and sheer astonishment. They are perfect for home decoration or for making bouquets. Indeed, who wouldn’t like to admire such beauty at home? These flowers usually attract hummingbirds, and what can be more mesmerizing that having these flowers and birds in your garden? 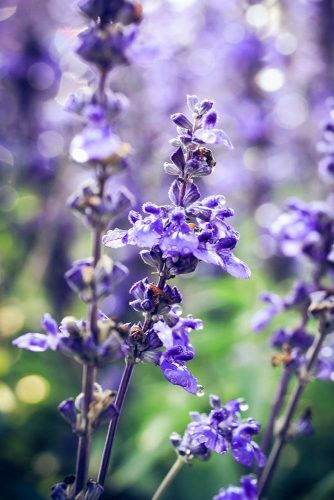 Besides, they are heat and drought resistant, so you wouldn’t have to worry about the changing weather condition and how the flowers might react to it. 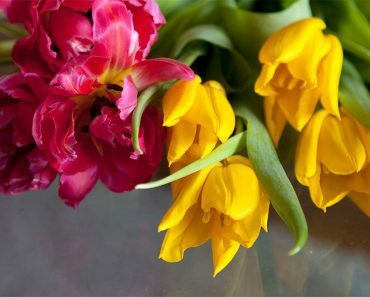 And these flowers can bring life to the walls of the house, they will bring radiance and create positive mood all around. These balloon-shaped flowers create the atmosphere of lightness and easiness. Bring them to your garden, and you’ll soon forget about any problems you might have. They do need full sun and well-drained soil, so choose the appropriate place for planting them. 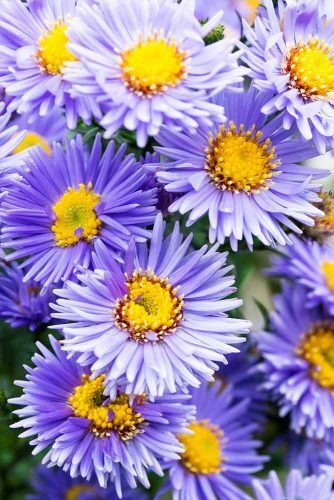 Asters are commonly known to be almost the last flowers to bloom, – so if you are a great lover of flowers, consider them having in the garden, as you’ll be able to enjoy their beauty at the time when most flowers aren’t blooming. Besides, they are perfect for home decoration and will bring happiness to your house. This plant is extremely easy to grow from seed and it can also self-seed. They require the full sun, so make sure to find a good spot for them in the garden. They will start flowering only after a few months after you have planted the seeds, so be patient. 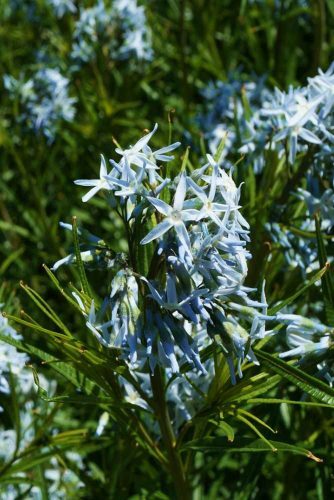 But these sky blue flowers are definitely worth having in the garden. It’s for a reason that they are loved by generations of gardeners. 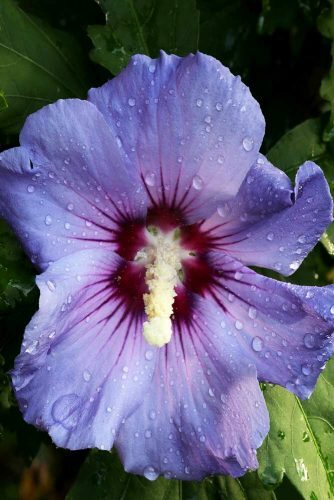 Blue hibiscus flowers are not very common, and this is one of the reasons why they look so mysterious and exotic. They have the delicate beauty noticeable by everyone who looks at them. They will turn your garden into a precious pearl enjoyed by all the visitors. Its splendor is just enigmatic and unattainable. 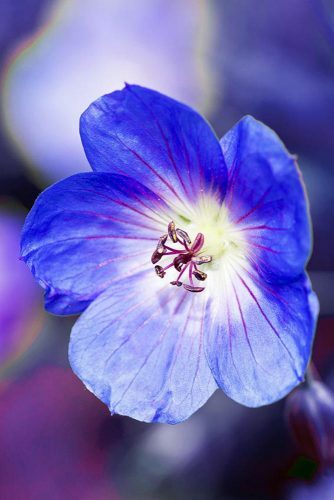 This flower takes its name after the Greek goddess who rode rainbows, so it’s indeed a heavenly plant. This flower is often associated with faith and hope. They mostly flower in early summer giving hope and beauty to the beholder. They need to have enough sun, otherwise, they won’t bloom, so consider it and find the best spot in your garden for such beautiful flowers. You can also decorate your home with them and enjoy their splendor. You can also create splendid bouquets with these flowers and present your significant ones with it to show your love and care. Violets usually have asymmetrical flowers and heart-shaped leaves. 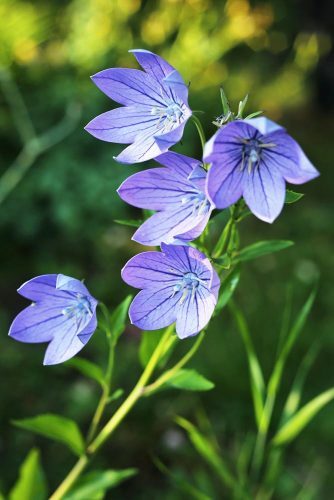 These flowers were cultivated long time ago and have been appreciated throughout the history. These flowers look very joyful and can cheer everybody up. They will look great not only in the garden but inside the house as well. Its petals can be also used for decorating salads or desserts. This is indeed a very beautiful and unique flower. It’s highly attractive for butterflies and humming birds and is often associated with loveliness and femininity. The flowers will create a perfect adornment for your garden as well as the house. 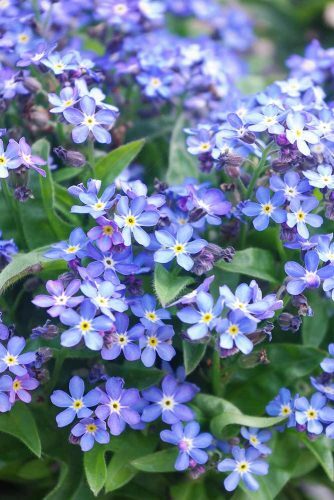 Forget-me-nots are very charming flowers. They bloom from May to October and cheer up its viewers. They can be often found near streams and brooks, which means that they ‘like’ moisture and humidity. They can spread quickly and easily by self-seeding, and so at times you might remove them from unwanted spaces. Such flowers can add to the home decor, and surely everyone will remember their beauty and smell. Long time ago bachelors used to wear these flowers to show their love for the beloved, and if the love isn’t mutual, the flower would die soon. These days, the flower has become a symbol of delicacy and hope in love. 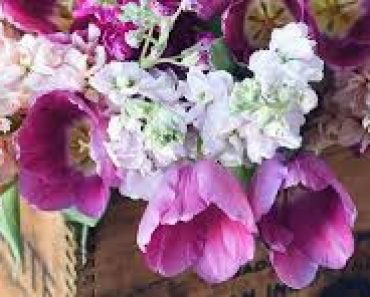 It’s very easy to grow these flowers, simply plant seeds outdoors in spring and after some time enjoy the beauty of the flowers in the garden, home or make a splendid bouquet for your beloved one. Orchids come in all shapes and colors, but there is something special about the blue orchid. These flowers are rare which make them even more precious and admirable. 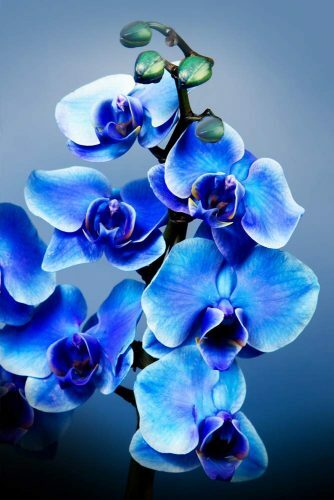 Looking at the blue orchid is like looking at the deep ocean; it can make you feel calm and at peace with oneself. This delicate flower requires proper amount of light and special care, but all your efforts will eventually be rewarded. 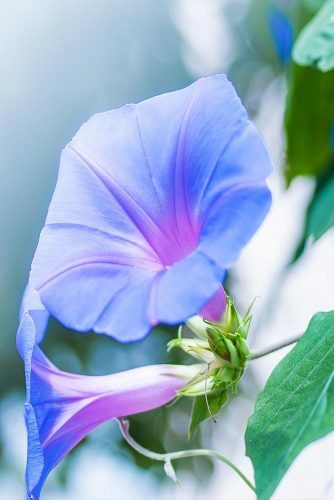 This flower is best known for its delicate petals and splendid pattern. When you plant the flowers, consider that the soil shouldn’t be too dry. Also, take into account that blooms will not appear till their second year, so you should stay patient. The flowers come in various colors such a yellow, red, pink, and, of course, blue, and look stunning.